Most movie fans have known Robert De Niro as a great dramatic actor for decades, but to some children—specifically those born last week—he’s just “the old guy from that trailer for The Intern.” Finally, though, De Niro is breaking away from the role that made him famous—to people born last week—by starring in another drama. However, this drama sounds like a comedy, so this is a little confusing. 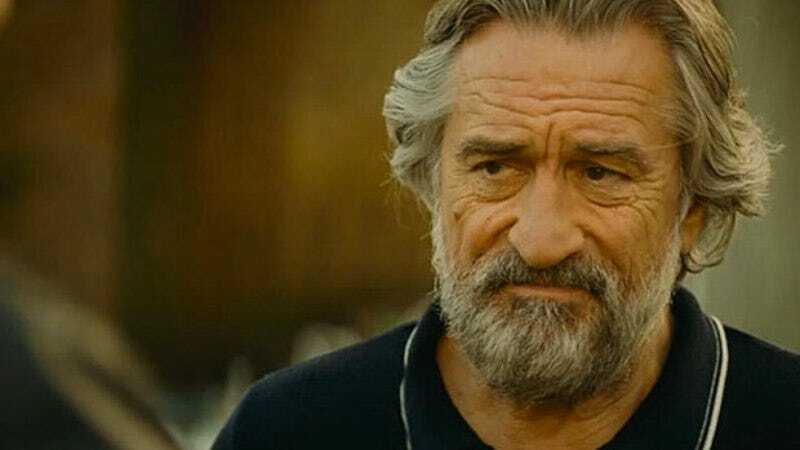 Deadline says that De Niro is set to star in The Comedian, “an Art Linson-scripted drama”—we’re quoting that so you know it’s a drama—that’s being directed by Mike Newell (Prince Of Persia, Donnie Brasco). De Niro will be playing a famous Don Rickles-style insult comic, and apparently the film will involve segments of De Niro doing stand-up, with those bits written by Comedy Central Roast mastermind Jeffrey Ross. We’re not sure where the drama part comes in, but maybe this will take a turn like Judd Apatow’s Funny People and half the movie will be a miserable slog that nobody enjoys.